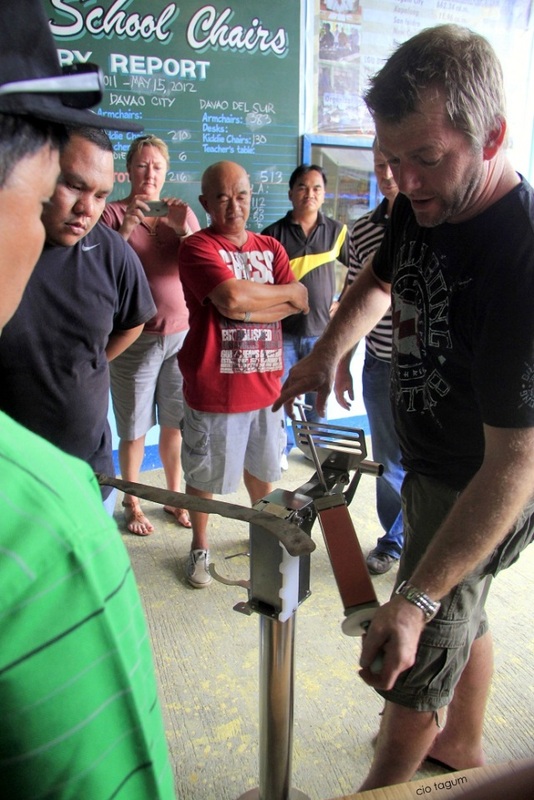 CITY OF TAGUM, DAVAO DEL NORTE – As a way of showing their support to the Community Skills Training Program of the Local Government of Tagum, three (3) Australians who are working with separate meat companies in the land down under personally went here last May 18, 2012 to turn-over the KNIFE-SETTER and a CUT- RESISTANT GLOVES (worth almost 1 thousand Australian Dollars) made of aluminum for the city’s slaughterhouse located in Tipaz, Barangay Magugpo East. The turn-over happened during their courtesy call with the Chief Executive at Tagum City’s Motorpool. 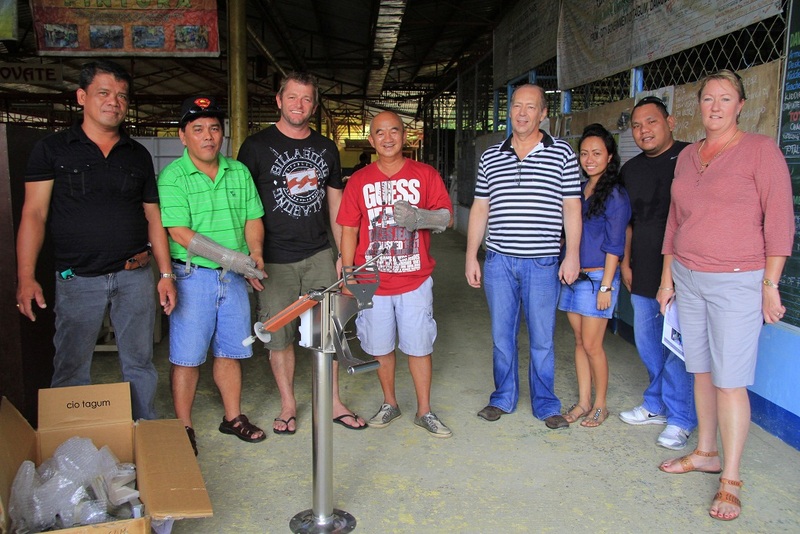 City of Tagum Mayor Rey T. Uy (4th from left) and City Veterinarian’s Head Dr. Jesus Edullantes (2nd from left) wear the CUTY-RESISTANT GLOVES made of aluminum as they pose with (3) visiting Australians who donated these gloves along with a knife-setter (worth almost 1 thousand Australian Dollars) which will be installed in the Tagum City Slaughterhouse. The turn-over happened during their courtesy call with the Chief Executive at Tagum City’s Motorpool last May 18, 2012. Photo by Louie Lapat of CIO Tagum. City Mayor Rey T. Uy extended his gratitude to the visiting Australians for giving the said equipment, noting that this will be a big help for the butchers of the city. Miss Allison Silburn, the Labour Manager of Northern International, disclosed in an interview that this one way of extending their full support to the local government’s pursuit in equipping its butchers with the necessary skills enough for them to be competitive to work in Australia. Other Australians who joined Miss Silburn are Dean Tilson of Teys Bro Austalia and Mike Smith of Yangwha Global. Aside from donating equipments, they are also in town to scout potential butchers to work for their respective companies. 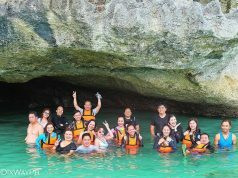 The city government under the leadership of Mayor Uy has been very serious in its skills training program for butchers—the thing which gained admiration from the visiting Australians. Graduates of the said program were then hired by Australian meat companies. “We had already deployed Tagum City workers in Australia and they have been excellent in their job, they are very nice people, they work hard and they are very loyal,” stressed Miss Silburn.